Chip Bertram, project manager for United Structural Systems, grew up in rural central Kentucky and moved to Tennessee in 1988. He is a graduate of Western Kentucky University with a Bachelor of Arts degree in Broadcast Communications and a minor in Speech. He began his career in the home improvement industry in 1990 and previously worked for a competitor before joining USS. 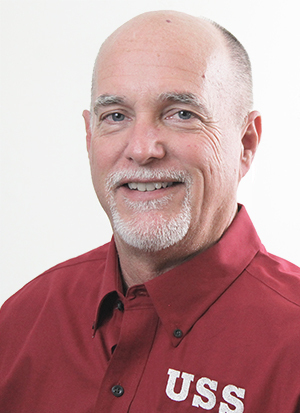 With over 25 years experience, Chip has a thorough knowledge of both water management and foundation repair. Chip lives with his wife of 37 years, Carolyn, in Mount Juliet, TN. They have a son, Ryan, and two wonderful grandchildren, Kaitlyn and Nolan. When not attending his grandchildren’s sporting events, Chip enjoys riding his motorcycle and playing music.